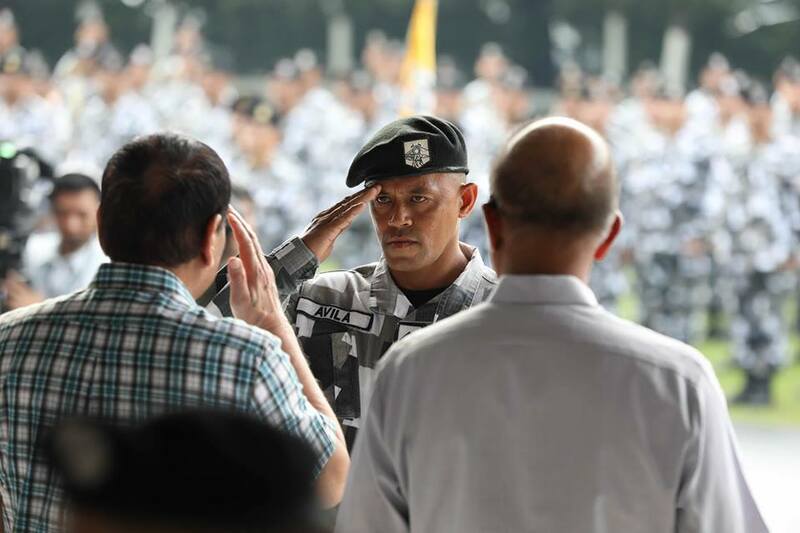 MANILA, June 30 -- As President Rodrigo Duterte marks his first year in office, his predecessor commended the sustained efforts of the current administration to boost the morale of Filipino soldiers and policemen, especially in light of the ongoing clashes in the strife-torn Marawi City. In a statement, former President and now Pampanga Rep. Gloria Macapagal Arroyo particularly took notice of President Duterte’s regular camp visits to boost the government troops' morale. "The least a leader can do to increase the morale of the defenders of our democracy and peace is to make sure that their families do not go hungry," the former President said. President Duterte expressed his desire to visit military camps on Friday as he marks his first year into office. Arroyo also noted the increases in pay and other financial benefits given to members of the Armed Forces of the Philippines and the Philippine National Police since Duterte assumed the presidency. Arroyo cited as an example President Duterte's Executive Order No. 3, increasing to PHP3,000 monthly the combat duty pay of qualified members of the AFP and uniformed personnel of the PNP. Arroyo said it was during her presidency that the law increasing the policemen’s salaries was implemented.